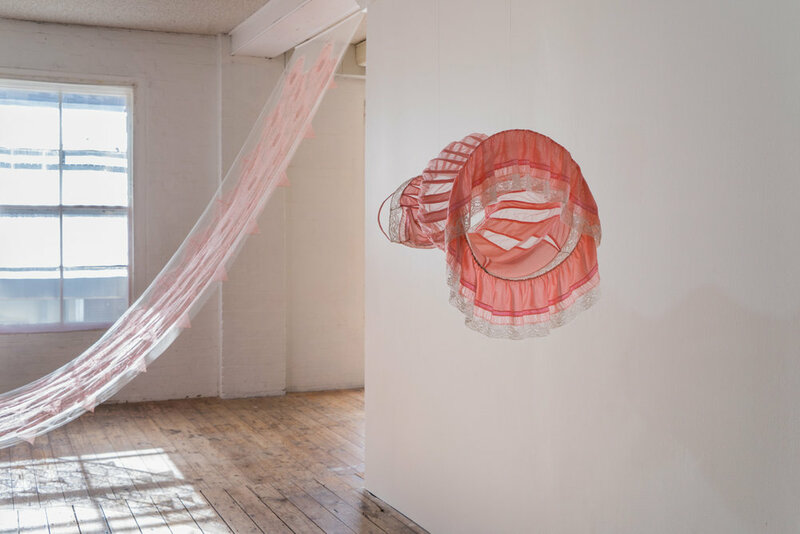 The Sleepover, 2018, found nighties and slips, found synthetic fabric and cotton ribbon, milliner’s wire, thread (with assistance from Melanie Ward, Monika Holgar and Kate Woodcroft) 670cm x 280cm x 210cm. You are welcome to gently touch and walk through this sculpture. L: New Terrain, 2016 and R: Distended nightie in pink, 2018. This Box Which is Not One, 2016, found lace fabric, tulle, thread, 427 x 316 x 210cm. Dissolved nightie in lilac (detail), 2018. 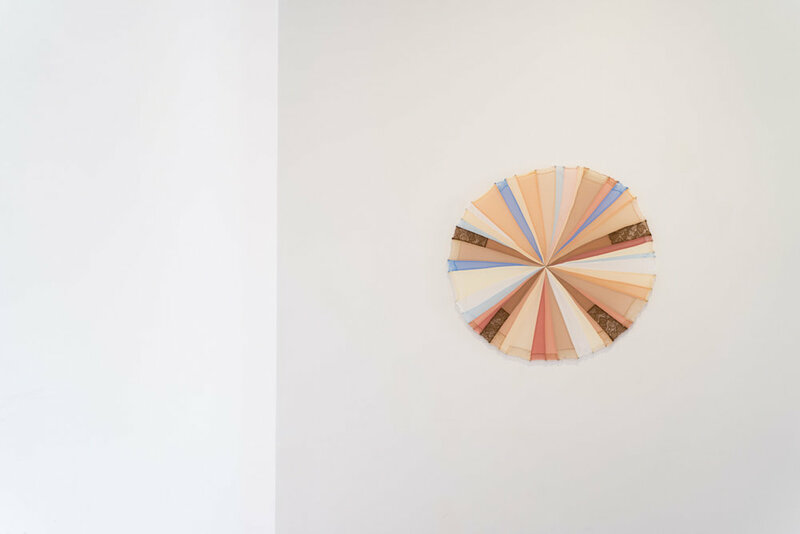 Full circle, 2018, offcuts of found slips and petticoats, thread and eyes (from hook and eye fastenings), 80cm diameter x 2cm depth. All photographs by Louis Lim.